Love, Actually: A Slice of the "Big Apple"
A Slice of the "Big Apple"
Today's idea comes from my sister-in-law, Carli. She's an excellent example of making big fun out of little money! This was for their 3rd Anniversary...but could easily be adapted for any occasion. - Matching shirts that said "I Heart NY" on the front and on the back I wrote "...and my husband/wife! Happy 3rd Anniversary." 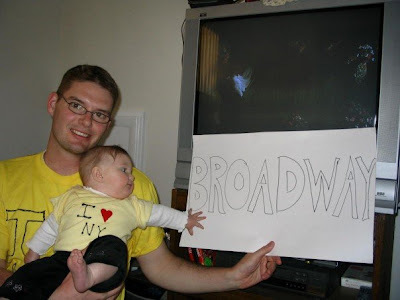 - a sign that said "Broadway"
It happened to be on a Saturday, so we took the whole day to celebrate. I gave Ryan the plane tickets around 10 am; we grabbed our bag and boarded the "airplane" (the car). We sat there for a minute and then I made him get out of the car and go into our "fancy hotel" which was just our apartment. We unloaded our bags and grabbed some lunch, which I had made earlier. Then we started our sight seeing trip of NY. We walked around "Central Park" (the park across the street from our house). 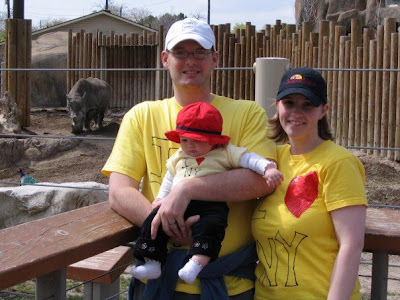 After, we went to the local zoo with our matching shirts on and pretended it was the "New York Zoo". We took Hannah with us and I made a matching shirt for her too. We got lots of compliments, which was fun! 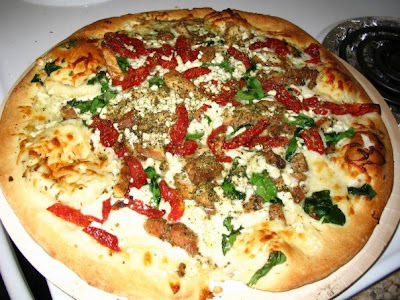 While we were in The Big Apple, we had to get a pizza pie...so we went and got the most authentic one we could find at a take n' bake place and then went and got cheesecake--another thing NY is famous for. We went to a "Yankees game" (which was a little girl's softball game across the street from our house) while we ate our pizza and cheesecake. 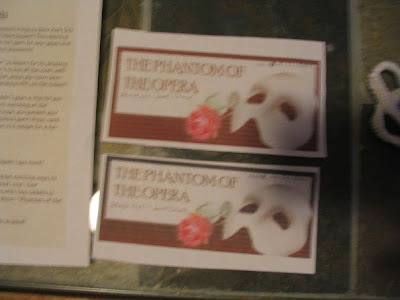 Then we finished the night off with a trip to the "opera" and watched Phantom of the Opera in our apartment. It was a really fun night, but with all that sightseeing, it was nice to zonk out in our own bed! Pretty clever, huh? So now you can experience New York and Las Vegas without ever leaving your town... kinda makes me want to see what else the world has to offer! Any suggestions? This is such a CUTE idea, but then again all your ideas are! Happy Wednesday! Oh my goodness how fun!! I just went to the zoo this weekend!! I wish I had read this then :) The shirts are divine and there was actually TWO weddings going on at the zoo that day. Who knew the zoo could be so romantic!! Thanks for the ideas Cher! That's what I'm talkin about baby! That's so creative! LOVE IT! Wow, you girls are putting me to shame! I'd never think of this stuff on my own. Wow...what an adorable idea!! My 1st anniversary is coming up and we are staying in town. Maybe I will do something like this! Just found your blog, I love this idea I'm going to borrow it. Money is always tight in our house. That's so cute and creative! It can definitely be applied to all sorts of things. Visiting from SITS! wow! what a great idea! I am so doing this with my husband! came over via The Insider Blog! Cute idea! Popping in from SITS to say Good Morning. I enjoy your blog so much that I left a little something for you at my place! Booking Buddy is the #1 travel search website, you should use to compare travel deals from all large travel booking agencies.